Now, as with most half-words the internet has latched onto, it gets a bit overused. That’s okay – the internet is vast and chatty, and churns out new words at an alarming rate. Some are bound to catch on. Anyway, we can fix this. OK. Cute. But…wait, let’s go back. 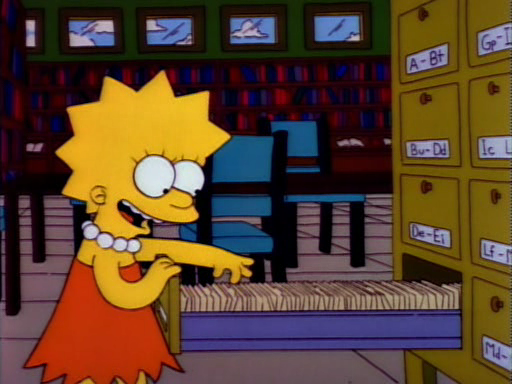 Far as I can tell, “meh” gained prominence from “The Simpsons,” which used it several times but really locked it down when Lisa used it in response to (and I’m trusting Wikipedia to remember this for me) Homer trying to get her excited about something. Her response: Meh. M.E.H. Meh. But the joke here is that it’s Lisa who responds this way. Not slackery Bart – not even eloquent little LISA can find it in her to mount an opinion any more complicated than one guttural sound.